Can you imagine taking a health supplement capsule as big as this? 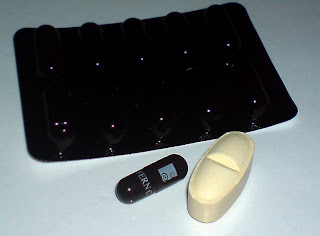 I kind of freaked out when I first saw this Amino 2222 pill that I need to take in as a protein supplement since I recently got involved in the gym fad. The first time I took one of these was a nightmare. It got stuck in my throat that all I did was get a big bite of bread, swallow it big time and drink a lot of water.